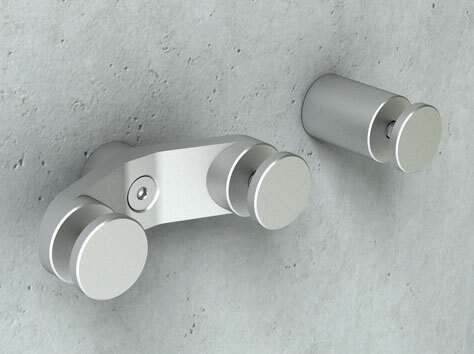 316 grade stainless steel hardware supports beautiful applications. Point Support accommodates 1 point and 2 point Spiders, with 2" and 4" tall barrels. 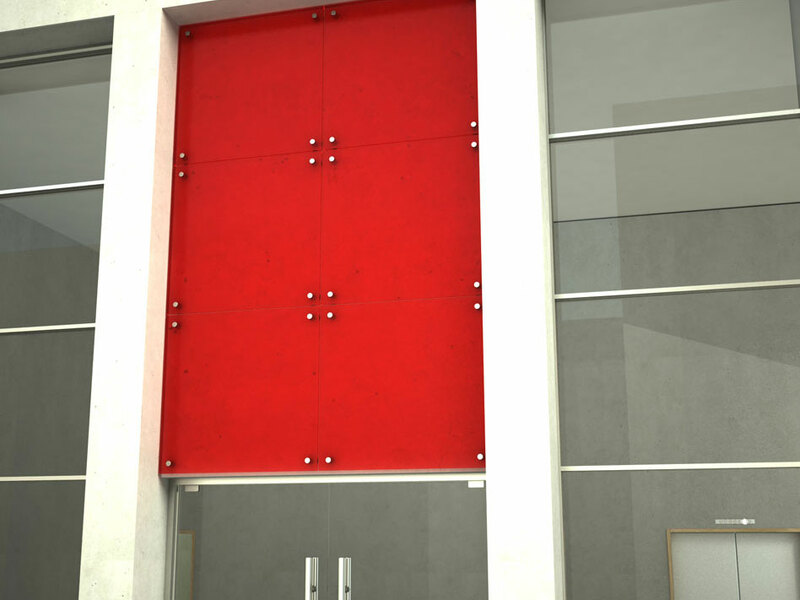 Point Support XT hardware system can anchor into concrete, brick and CMU to meet a designer’s exterior spatial needs. Point Support XT is manufactured using Marine Grade 316 stainless steel with an anti-loosening patch directly applied to the threads (as thread-locking chemicals are not compatible with Varia Ecoresin). 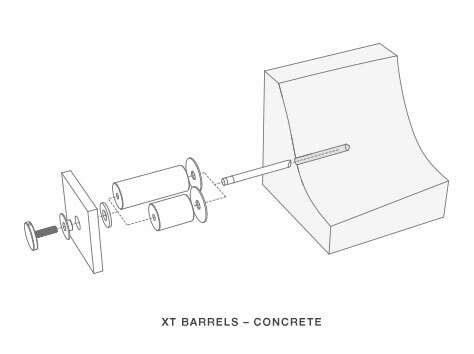 Barrels and caps from the XT line are 1-1/2” diameter to allow increased hole size for expansion/contraction inherent in exterior applications. Teflon washers allow expansion without binding the panel. 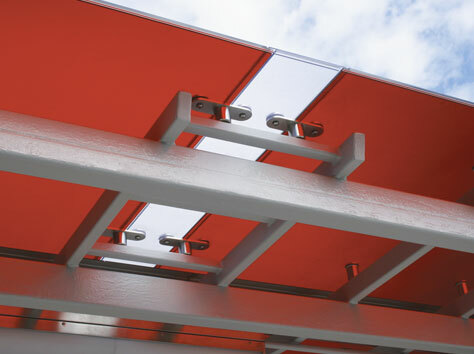 Quantity of supports per panel is determined by 3form personnel and varies by condition. Please contact your 3form rep for more information.